For breast cancer patients especially, mastectomies can be a psychologically painful experience. Deprived of a sense of femininity and often left with damaging scars, the effect was once further complicated by reconstructive techniques that appeared unnatural. While surprising, a new technique using pig skin may end this dilemma and produce a much more natural reconstruction. Patients struggling with breast cancer may find themselves faced with undergoing a mastectomy to remove the malignant breast. While the effective treatment can end the run of cancer and give hope to the patient, the surgery can leave patients devoid of feeling feminine—with one or both breasts missing, and often a rough scar. Breast reconstruction surgeries have existed for years, but traditional techniques have significant downsides. The first option is taking excess skin and fat from another area of the body (usually around the midsection, buttocks, or back), and creating a new artificial yet organic breast. This technique creates a naturally aging breast of soft tissue, but the operation leaves unsightly scars and can have a very long recovery time. The second option is implants, in which the pectoral muscle is stretched with a tissue expander. (Often, a saline implant that is gradually inflated is used.) This technique stretches out the skin temporarily, and is later replaced by a silicone implant. Although implants still remain a preferred method for reconstruction, a few patients have not been able to achieve the natural look they were hoping to. 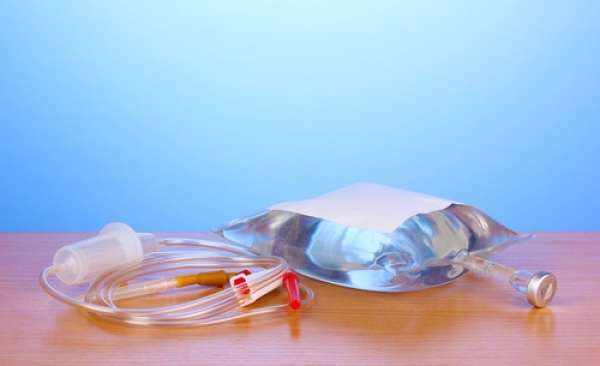 Could A New Implant Increase Saline's Popularity? First granted approval to be used as a hernia treatment, the use of pig skin in reconstructive surgery has resolved many of these issues. While it may seem counterintuitive, in most cases the pig skin can produce a much more natural look than either soft tissue transferring or silicone implants alone. In this technique, known as a Strattice graft, the pig skin functions as a kind of internal bra that cradles the silicone implant and allows for a natural droop. Stripped of all pig cells beforehand, the human body successfully accepts the skin transplant despite its cross-species origin. Over 1,200 patients in the United Kingdom alone have successfully undergone this kind of breast reconstruction. The pig skin allows for the breast to sit lower in the chest with a more natural curve and evenness with the remaining breast. Another key benefit to this kind of reconstruction is that it only requires one surgery, rather than the traditional method with an implant, which requires a “saline” phase, then a “silicone” phase if the patient chooses to delay reconstruction. Patients who have undergone the procedure have reported eventually feeling as though the breast were no different from their own bodily tissue. While pig skin may not sound like an appealing option at first, the end result is often a curved, symmetrical reconstructed breast that both feels natural and ages well. As reconstructive techniques continue to progress, the procedure may evolve to produce even more genuine results. Breast Lift Vs Augmentation: What's Right For Me?